The PDSC are proposing to increase the number of overseas players to 11 next season. 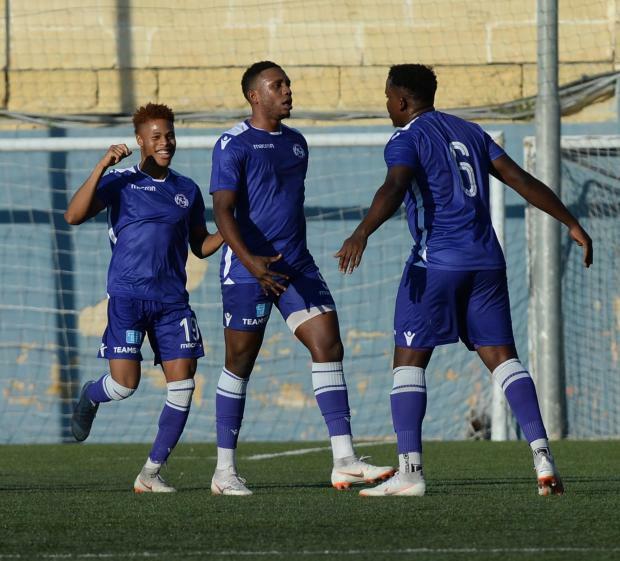 The Malta Football Players Association has criticised the decision taken by the Premier Division Standing Committee to approve a proposal to increase the number of foreign players in the top flight to 11 from the current 7. 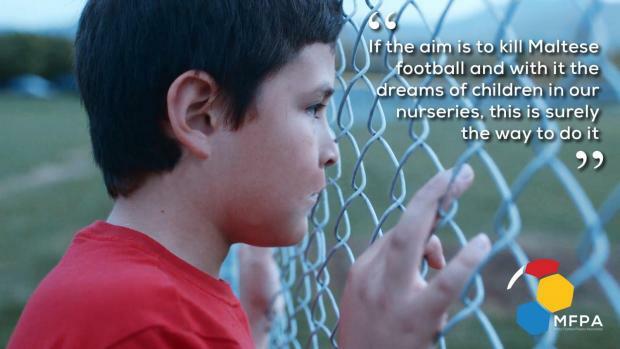 In a long statement, the MFPA said that if the aim of the PDSC proposal to kill Maltese football and with it the dreams of children in our nurseries, this is surely the way to do it. "The approval came from the Premier League Standing Committee, not from the MFA administration. A barrage of criticism was levied towards MFA administration, but the general public should know, that the MFA administration is not the one pushing for this change. "The Premier League Standing Committee is made up of one representative from each Premier League Club together with its president Mr Tony Bezzina, its Secretary Mr Mario Debono and its consultant Dr Chris Bonnett. Gzira, Sliema, and Pieta FC voted against. Floriana and St. Andrews did not attend. "To go through, this proposal, will need the majority of votes from the MFA Council. The following have the right to vote: 53 votes by Clubs: Premier (14), 1st Division (14), 2nd Division (13) and 3rd Division (12). - 23 votes by 12 Members Associations, these include GFA, Youth FA, Referees Association, Coaches Association, MAFA, IASC, ISA, Employees Sports Association, District Football Leagues; Futsal, Beach Soccer Association, Masters League. - 0 votes for the Malta Football Players Association and Women’s Football. "There has been a concerted effort to confuse the issue of Parameters with the increase of foreigners in local football. This, is nothing but an attempt to try to gage a so called ‘compromise’. "The truth of the matter is that the issues are completely distinct. Parameters have been declared illegal by the EU and have been abolished all over the world. On the other hand, different amounts of foreigners are allowed, in all these countries which have abolished Parameters years ago. "The argument that to abolish parameters, there is the need of a compromise in the form of an increase in foreigners, is akin to giving someone a reward, in order for them to agree to stop breaking the law. Parameters are illegal, there is no compromise to be made. "In the past months, MFPA has received various reports of exploitation of foreign players. In one case, the club demanded money from the player to make good on a lost investment. "In another case some 8 players were crammed in one single apartment. Another player was made to share his bed with different players coming in for trials each week, during the pre-season. "Last season MFPA helped out over 30 foreign players who had different issues including non-payment, early termination of contracts and accommodation problems. The MFPA said that is deeply concerned that this measure will strike at the heart that matters most. "Everyone agrees that to elevate the level of Maltese Football, there needs to be an investment in the nurseries," the MFPA said. "Premier League clubs have so far been incentivised to keep a nursery because they needed Maltese players on their senior team. This measure will completely remove the club’s incentive to even have a nursery, let alone seriously invest in one. "This measure is a short-sighted attempt to get ready-made players, instead of investing in nurseries. Other countries with better structures, better resources and healthier bank accounts, have already taken such short-sighted measures which bore nothing but catastrophic results." MFPA believes that unless there is a serious and professional youth development set up in Malta especially within the Premier League clubs, any talks of increasing the number of foreigners should immediately stop. "On the other hand, we should consider having a limit on non-EU players. Discussions should also commence with regards to the possibility of have a number of club home-grown players (players who have trained with the respective club for a number of years irrespective of nationality) within the 18 man squad, so as to encourage the development of youth players and give club-grown players more opportunities to break into the first team," the statement said. "This is being done in the English Championship, League 1 and League 2. "If we are serious about raising the level of Maltese football, we need to guarantee the supply of future generations of Maltese players with the right level of football foundation, so that they are in a position to compete in the highest division in Malta and abroad. "It is nonsensical to argue, that players who are good will still be able to play. Talent, without proper foundation and regular opportunities to play at the highest level, will never develop. "Let us all be honest and admit, that in practice, clubs will never select a player who is still developing, if they can choose someone who has already had time to develop. "MFPA has always tried to be part of the solution and in fact, MFPA, has taken the initiative to hire an International Company whose specialisation is analysing nurseries and making recommendations for the development of the nurseries and the children attending. "This company has successfully worked with the German and Belgian federation in the past with great success and is currently working with a local football nursery. The aim is to get professional feedback about problems and solutions in our nurseries and discuss with all stakeholders involved. "Without a serious youth development set up, the Premier League Standing Committee’s proposal will make sure clubs do not have to contribute to the development of Maltese players and Maltese football. "If this goes through right now, we will be shooting ourselves in the foot."